In 2014, Drexel University's LeBow College commissioned concepts for two awards that recognize achievement in local and global business. 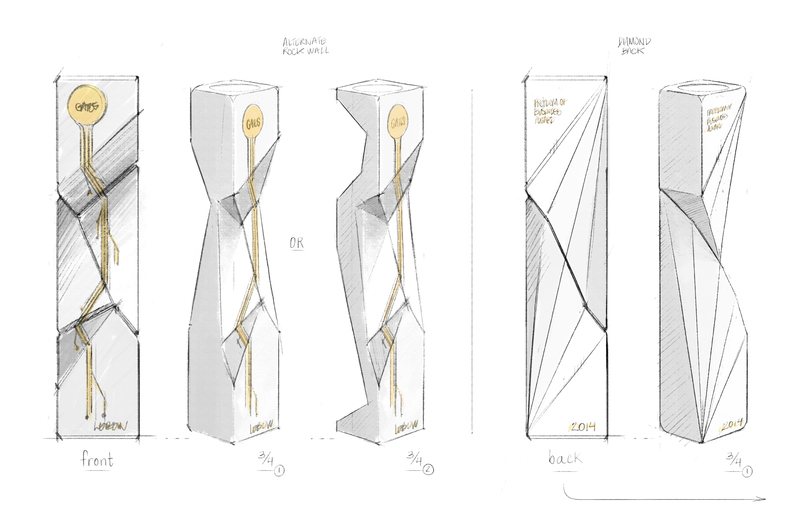 I was selected to design the awards, which involved extensive research, modeling, and prototyping. 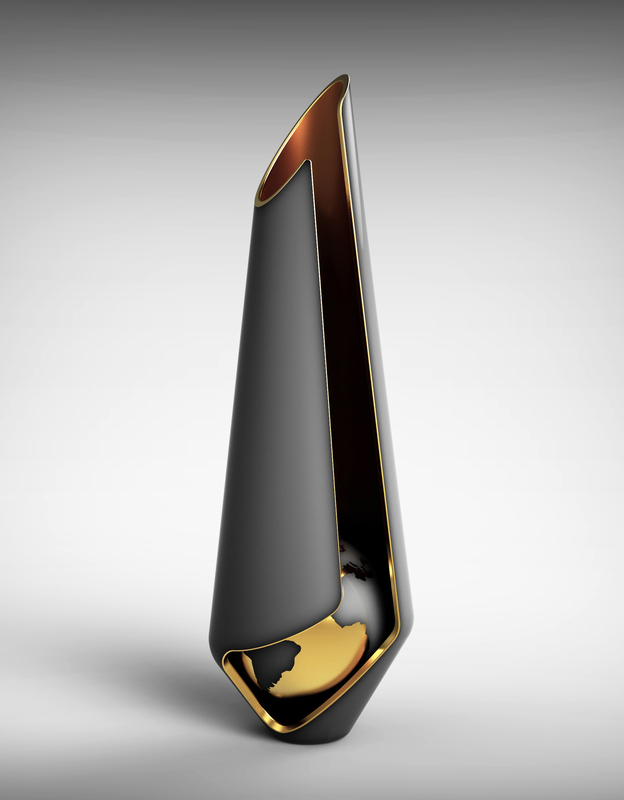 This project is a reaction to the standardization and devaluation of business awards. An award should be as unique and personal as its recipient, an object of true value to be cherished for decades. 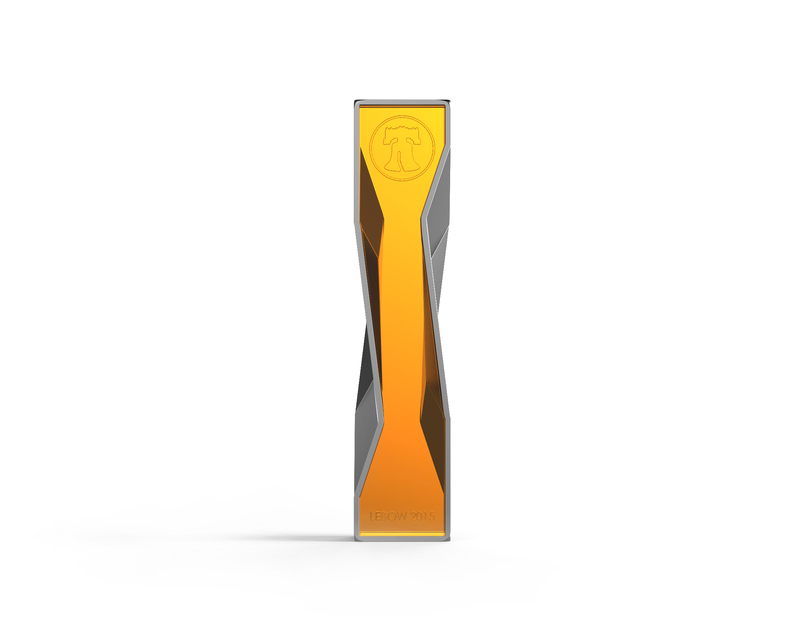 These awards are a combination of mass production (CNC milling and laser etching) with elements of hand crafting (lacquer, poured amber resin, and metalworking). 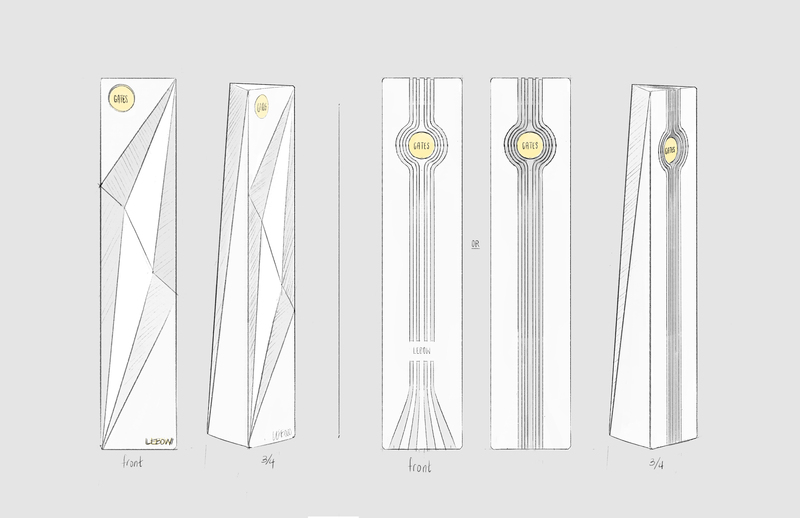 They were designed to be made in limited runs for select individuals. The Lebow Local Business Award embodies the rich history of Philadelphia, PA, where it was designed. The Liberty Bell, an instrument of proclamation and an iconic symbol of American freedom, is etched into the amber core. 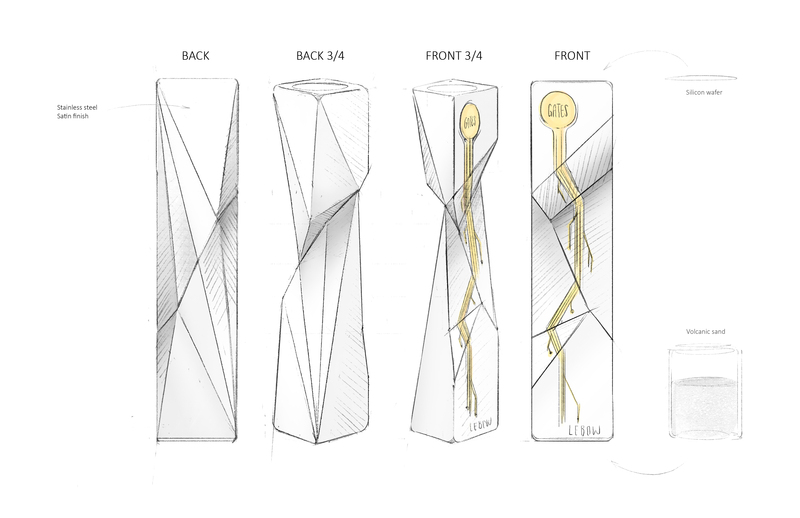 On either side, a faceted silver shell echoes the historic crack in the Liberty Bell. The global business award celebrates the spirit of international trade. 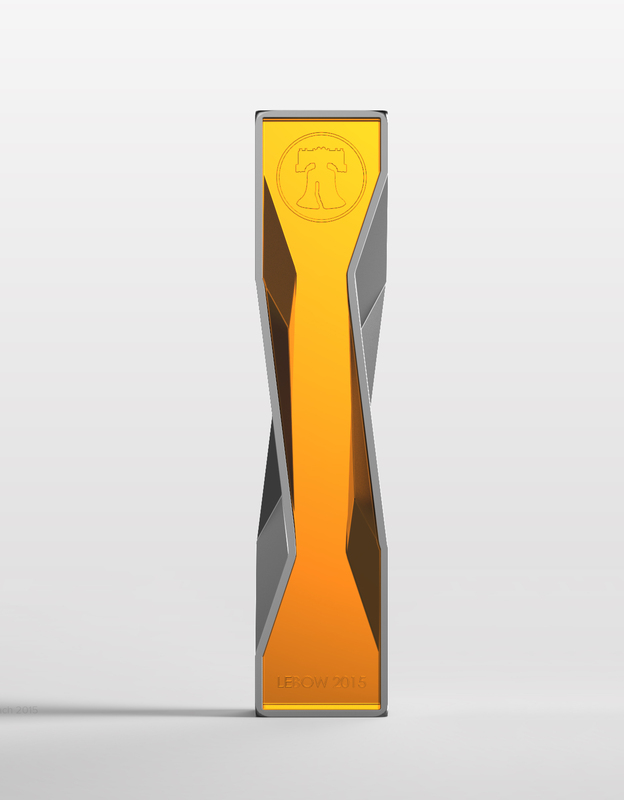 The award's graceful lines rise upward and speak to the power of business as a force that lifts us from poverty and fuels global progress. 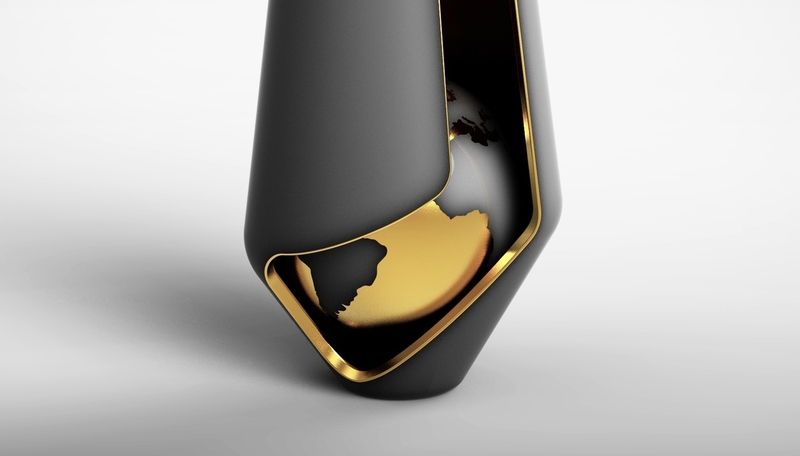 The Global Business Award is a seamless shroud of black lacquer wrapped protectively around a polished gold planet. Many concepts were developed over the six months of research. Themes included digital technology, multifaceted surfaces, and resonance. The final directions focused on local history and globalism.